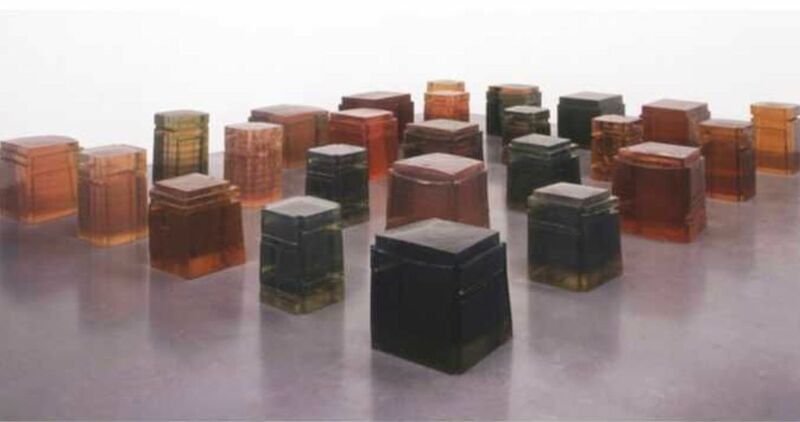 The British sculptor Rachel Whiteread is one of the world’s leading contemporary artists. Whiteread casts the interiors of buildings, household objects, and furniture, capturing familiar but often overlooked areas of the home—the underside of a chair, the contents of a medicine cabinet, or the inside of a garden shed. Over the course of her 30-year career, she has changed the way that the world thinks about sculpture. Her reverse casts of negative spaces, made of industrial materials such as concrete, plaster, and resin, transform the ordinary and unseen into something enduring, striking, and impossible to ignore. Saint Louis Art Museum Members, click here to enter your promo code. There is a $3 per ticket service charge. Admission is available every 15 minutes during entry hours. For online sales, buyers will be able to select the hour of entry (10am hour, 11am hour) and will be assigned the next available 15-minute entry time that meets the request requirements, starting with the first 15-minute entry time. If you wish to specifically purchase a time on the quarter or half hour (10:15am, 10:30am), and it is not offered by the online seller, you should cancel the shopping cart and purchase that specific time slot by phone. The specific tour time will be listed on-screen prior to your purchase and in on-screen and email confirmations. MetroTix sales end at 12:01am day of event. "Day of" sales are only available in person at the Art Museum on a first-come, first-served basis. Entry on Friday is free, but a ticket is required. Advance ticket purchase is recommended. There is a 6 ticket purchase limit for Fridays.